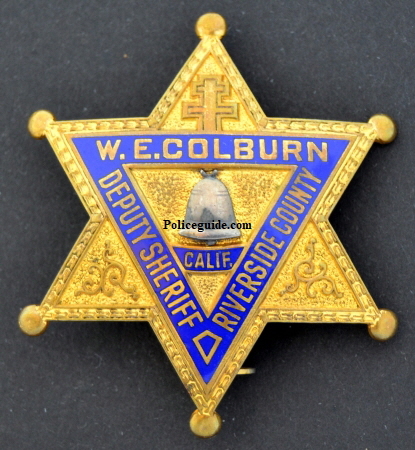 W. E. Colburn was appointed Deputy Sheriff of Riverside County. 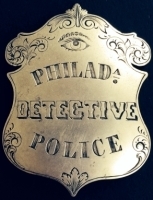 in 1931. 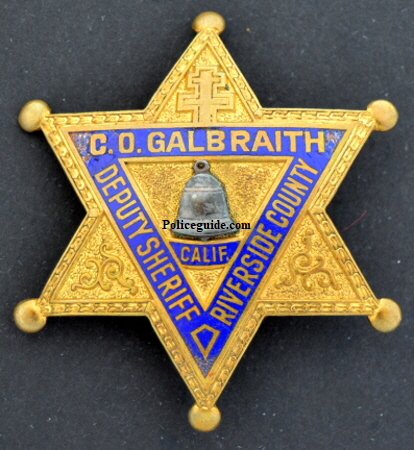 Cliff O. Galbraith was appointed Special Deputy Sheriff of Riverside County November 17, 1931. 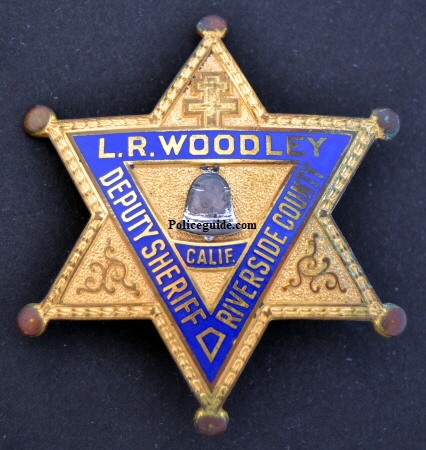 L. R. Woodley.was appointed Special Deputy Sheriff of Riverside County April 23, 1941. 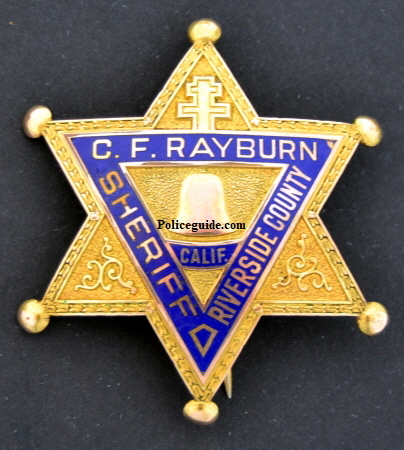 Carl F. Rayburn was elected Sheriff of Riverside Co. in 1931 and served until 1952. 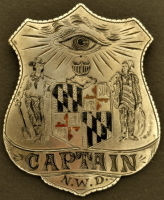 He was the 7th elected sheriff of the county. 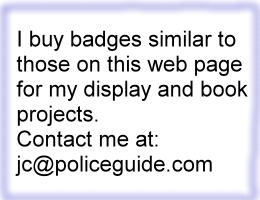 On August 28, 2017 I was happy to let the four Riverside County Sheriff badges on this page go to the Riverside Sheriff’s Museum. 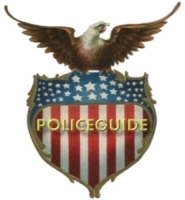 A great bunch of people preserving the history of their department.